Abu Dhabi, United Arab Emirates, 9 July 2018 — The International Renewable Energy Agency (IRENA) will highlight the central contribution renewables make to sustainable development and the substantial, cross-sectoral socioeconomic benefits of energy transformation during the United Nations High-Level Political Forum (HLPF) on Sustainable Development. The meeting will take place at UN headquarters New York from July 9-18. Under the theme ‘Transformation towards sustainable and resilient societies’, the meeting will review the implementation of a number of Sustainable Development Goals, including SDG 7 – access to affordable, reliable, sustainable and modern energy. IRENA will underscore the importance of accelerating renewable energy deployment to realize SDG 7 as well as a number of other key goals, including health (SDG 3), jobs and economic growth (SDG 8), sustainable cities (SDG 11) and climate action (SDG 13) among others. IRENA’s 2050 analysis finds that renewable energy and energy efficiency combined could achieve 90 per cent of the energy-related emission reductions needed to achieve the well-below 2°C target of the Paris Climate Agreement. Accelerated renewables deployment could also boost global GDP by 1 per cent and welfare by 15 per cent compared to business-as-usual, and by 2050 renewables could account for nearly 29 million jobs, up from 10.3 million today. A significant proportion of these benefits are achievable by 2030. Globally, more than one billion people today still live without access to electricity – a challenge that off-grid renewable energy technology is helping address. Since 2008, off-grid renewable energy capacity has witnessed a spectacular three-fold increase from under 2 GW to over 6.5 GW in 2017. 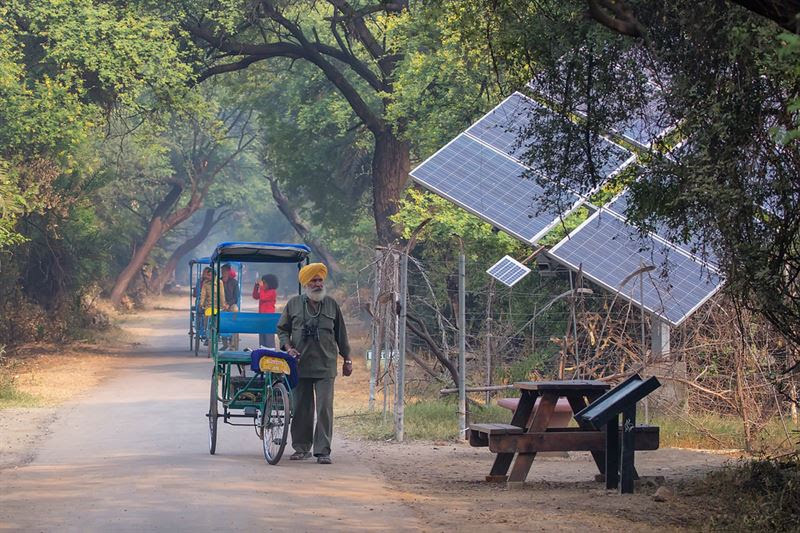 Currently, up to 133 million people are estimated to be served by off-grid renewables. Capturing these trends, IRENA will launch a consolidated renewable energy off-grid report entitled ‘Off-grid Renewable Energy for Electricity Access: Status and Trends’. The report will deliver a comprehensive picture of off-grid renewable energy technologies and adoption, harmonizing national and regional level data from around the world. More details of IRENA’s activities can be found here.